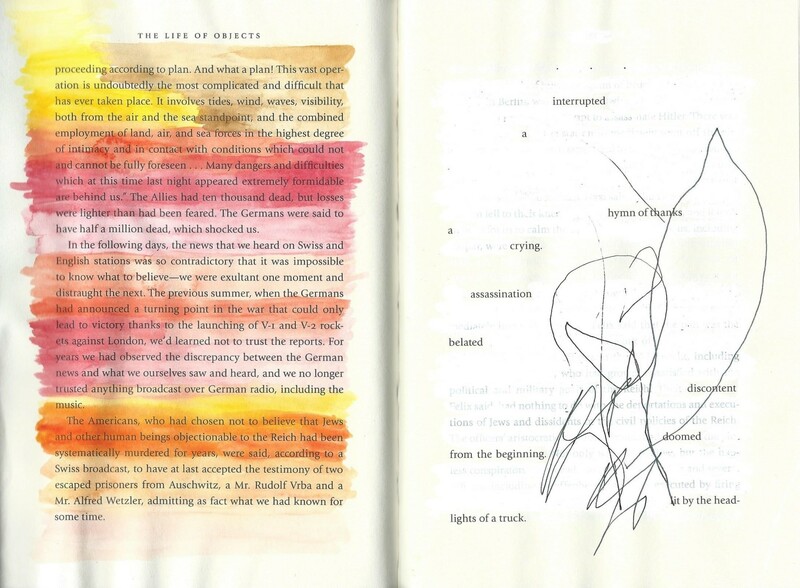 Method: Source: Susanna Moore’s “The Life of Objects.” I had completed “Interrupted” and left it out to dry when my four-year-old scribbled on the page. Here is the ultimate work of motherhood and Dadaist art; chance, absurdity and interruption. Natalie D-Napoleon is a writer, educator and singer-songwriter from Fremantle, Australia who now lives in California. IShe has an MA in Writing and currently works as a Coordinator at a Writing Center. Her work has appeared in Entropy, StylusLit, Poetry WTF? !, and The Found Poetry Review.